With the ongoing turbulence in the global economy and especially the financial markets, the awareness is increasing that fundamental transformations of economy and of lifestyles are needed. Visions of a fair economy have to be combined with concrete small steps. Such seeds of transformation give hope. The Global Ethics Forum (GEF) 2012 focused on two of the crucial challenges of transformation towards creating an ethical economy: the financial markets and sustainability after Rio+20. 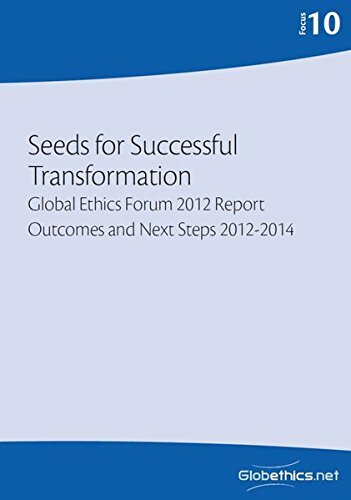 Over 70 speakers from all continents contributed to the search for ethical transformation, discussing concrete aspects of themes such as sustainability, financial transformation, transparency, and ethical business management.